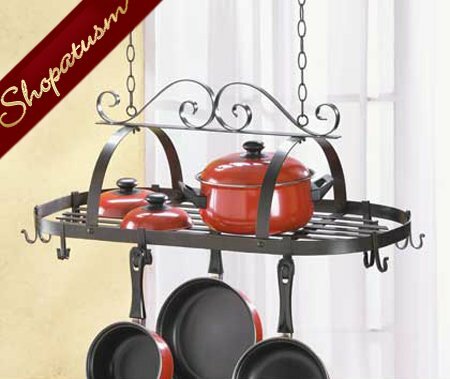 This is for a Black Metal Wrought Iron Hanging Pot Holder Organizer Pot Rack from Shopatusm. An intricate swirl design makes this wrought iron hanging pot holder with 10 hooks a useful work of art for the kitchen. Wrought iron and metal. 31 5/16 inch x 15 7/8 inch x 11 7/8 inch high.